Please take the time to choose the correct ZSL department to send your enquiry to. This will make sure your enquiry is dealt with quickly and efficiently as possible. You can also check our Frequently Asked Questions page. For enquiries about holding private functions at ZSL London Zoo please visit ZSL Events. More information about media enquiries. Please note only direct media enquiries will be answered by our Press Office. All enquiries related to the work of our conservation programmes should contact our Customer Contact Centre. The Institute of Zoology buildings are based next to our ZSL London Zoo site, on Outer Circle, Regent's Park, London, NW1, 4RY. For full directions click here. All enquiries related to the work of our Institute of Zoology should call 0344 225 1826. ZSL Library is open Monday-Friday, 9.30am-5.30pm. The Library is closed on all public holidays and at weekends. For any other comments or queries, please email generalenquiries@zsl.org. You can also contact us on feedback@zsl.org and tell us what you loved most, what you've learned or maybe what you’d like us to provide more of. We strive on creating inspiring, empowering and memorable days out and it’s often as a result of your feedback. 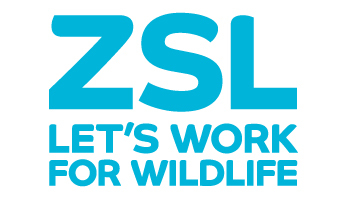 We welcome all your comments and hope you can continue to support us here at ZSL. If you are a local resident: for out-of-hours enquiries or in case of emergency please contact us on 0207 449 6601.